According to Gartner, by 2020, more than 75% of large companies with field services will equip their technicians with mobile applications that boost profitability by improving efficiency and increasing customer satisfaction. In this webinar we will talk about how a Field Service Management tool such as Task4Work can help you in the management of your field services at different levels: coordinators / dispatchers, administrators and field staff. 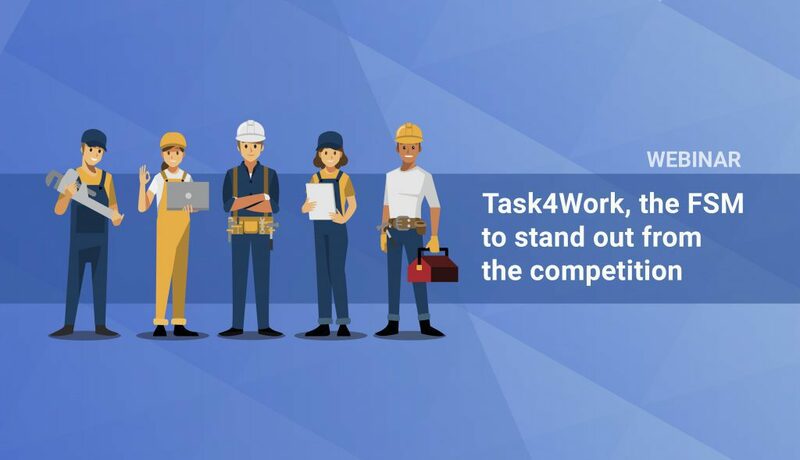 Task4Work, the solution based on Google technology, is strategically focused on reducing your operating costs and increasing the level of satisfaction of your customers. Don´t miss the chance to participate in this online conference where you can learn about the benefits of using a FSM application and discover why it is a “must-have” for the companies of the future.